Welcome to the Millennial Homemakers! Whether you have a small living space or a large one, you need to maximize your space. 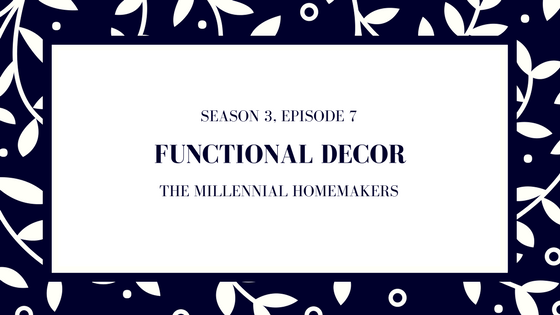 In this episode, we discuss how to decorate with function in mind. We share how we decorate functionally in each room in our house. Want to join our bookclub? Join us on Facebook!